Girl Charlee Fabrics UK & Europe: Tutorial Tuesday: A History of Houndstooth! 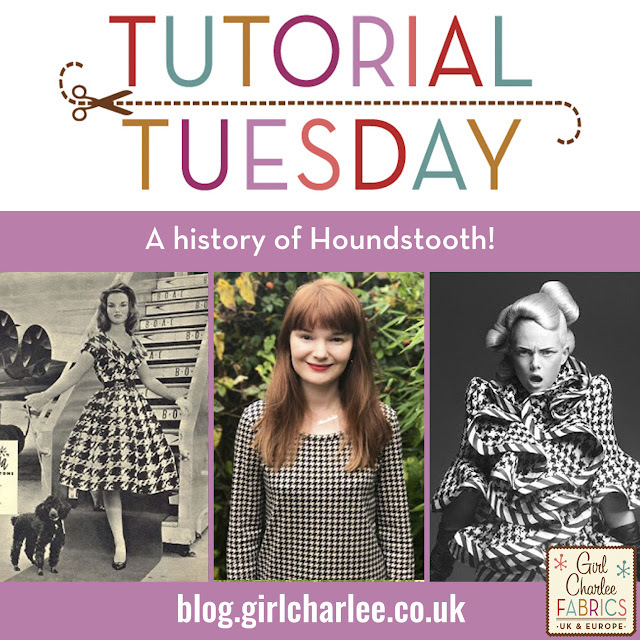 Tutorial Tuesday: A History of Houndstooth! 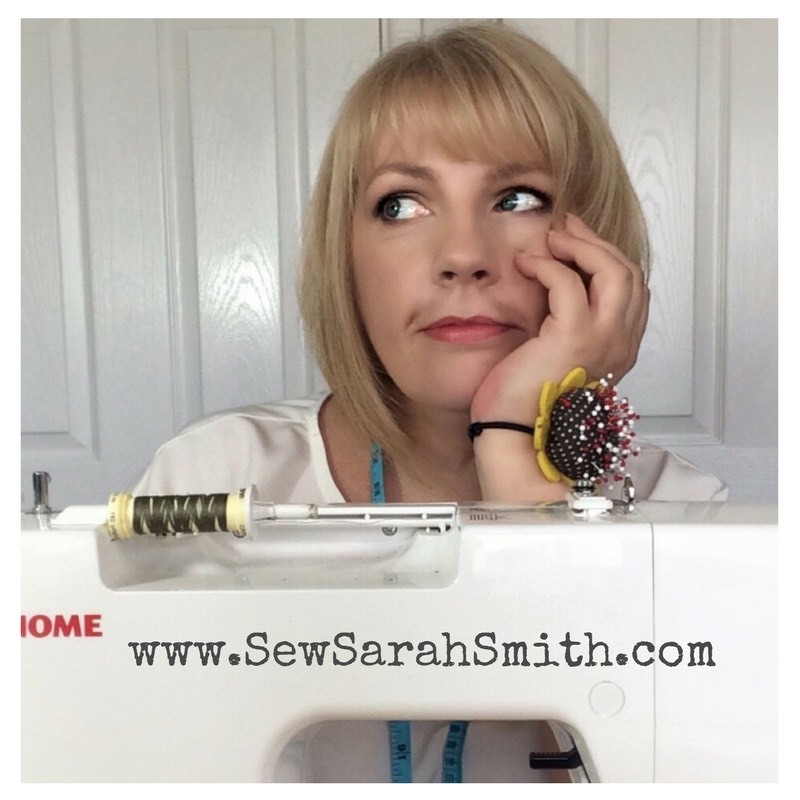 My name is Rosa and I vlog about my sewing journey over on my YouTube Channel Sewn. I'm so excited to be here today to share with you my latest make, made using cosy Houndstooth Ponte de Roma. 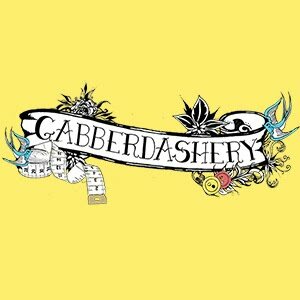 I have been sewing for the majority of my life, and over the years have become somewhat of a geek when it comes to fashion history. I am obsessed with studying the incredible collection of vintage pieces at the V&A and have an obscene number of historical fashion books on my shelves (too many for our tiny, one bedroom flat, some may argue!). 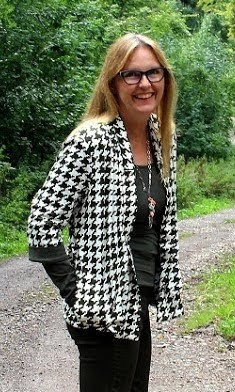 So when I chose this houndstooth fabric, I decided I wanted to find out more about it's history, where the pattern is from and who has influenced it's evolution over the decades. 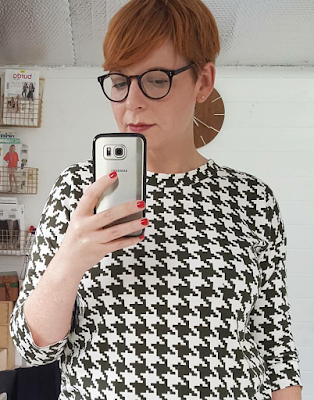 Personally, when I think of houndstooth I think of mid-century glamour, pillbox hats and Jackie O stepping gracefully from aeroplanes without a hair out of place. But the houndstooth pattern dates back even further, to the 19th century, and was first woven in Scotland. Originally made from wool, the warm and heavy fabric was first used for outer wear and was, apparently, favoured by shepherds for their coats! In fact, in it's earliest incarnation the print was also referred to as Shepherd's Check. The pattern later became a popular choice for cosy winter skirts and scarves. Adorably, a smaller scale print was developed named Puppy's Tooth (too cute!). Fast forward a few decades and we hit the aesthetic I most associate with houndstooth, the 1950s and 1960s. Admittedly, I have an unhealthy obsession with Mad Men and the whole mid-century vibe as it is, but who can resist the Christian Dior coat from 1957 (above), or this 1960s cosy yet achingly chic houndstooth polo neck fit for Audrey Hepburn to dance around Montmartre in? 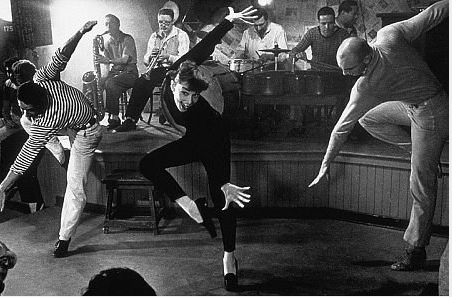 Anyone else obsessed with her beatnik style in Funny Face? Fast forward another 50 years and the great Alexander McQueen essentially dedicated his entire AW09 collection to the iconic print, with larger than life ruffles, frills and collars constructed origami-like from houndstooth cloth. McQueen proved that this classic print so rich in history can be brought well and truly into the 21st century without losing any of it's original charm. So, how can the home sewer interpret the trend in a way that is both stylish and ultimately wearable? I was inspired by this gorgeous Boden shift dress with it's nod to the 60s to create my own houndstooth shift dress. Ponte de Roma lends itself perfectly to winter shift dresses as it is warm and cosy as well as being super comfortable. Plus, it requires next to no ironing, win! I chose Simplicity 1593 for my dress but lengthened the sleeves and bodice by 2 inches to ensure the dress is wearable in the coldest London weather with lovely opaque tights and, of course, my handmade coat. However, I do not feel shift dresses are the limit of how you can use this fabric to look stylish yet stay warm this winter. Another alternative are houndstooth trousers, which I made myself years ago for a trip to Paris. Ponte de Roma makes super cosy trousers and the stretch is forgiving and comfortable around the waistline. If you are not a trouser girl, a stretchy Ponte de Roma mini skirt is an absolute winter staple, and you can't go wrong with the Colette Mabel skirt. I think it would look gorgeous in houndstooth. That's everything for today. Thank you so much for reading and I hope you have learnt something new about this gorgeous and historic print and are inspired to whip up your own Ponte de Roma piece for winter. 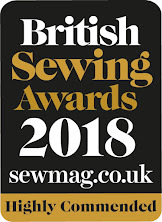 I cannot stress enough how much I love working with Ponte de Roma fabric as it is stable enough to sew up quickly with a normal sewing machine, keeps you warm and cosy during the winter and perhaps most excitingly, comes out of the wash completely wrinkle free so you can spend five minutes longer in bed in the morning and skip the ironing! 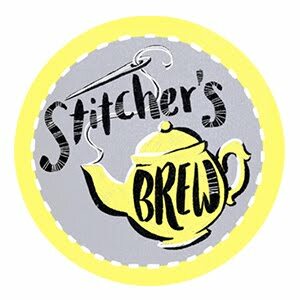 Don't forget to check out my YouTube channel Sewn for sewing updates every week. 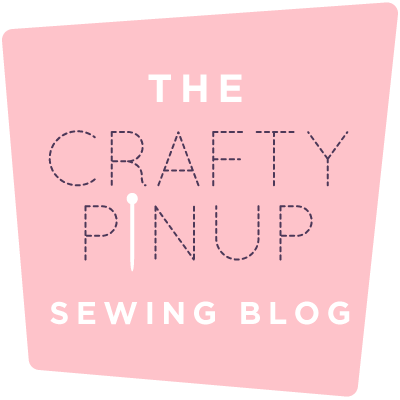 Special thank you to Girl Charlee for providing me with this gorgeous fabric to work with and for giving me the opportunity to write this for their lovely blog. Also, be sure to sign up for our email updates as we will be stocking some other lovely new Houndstooth fabrics soon!